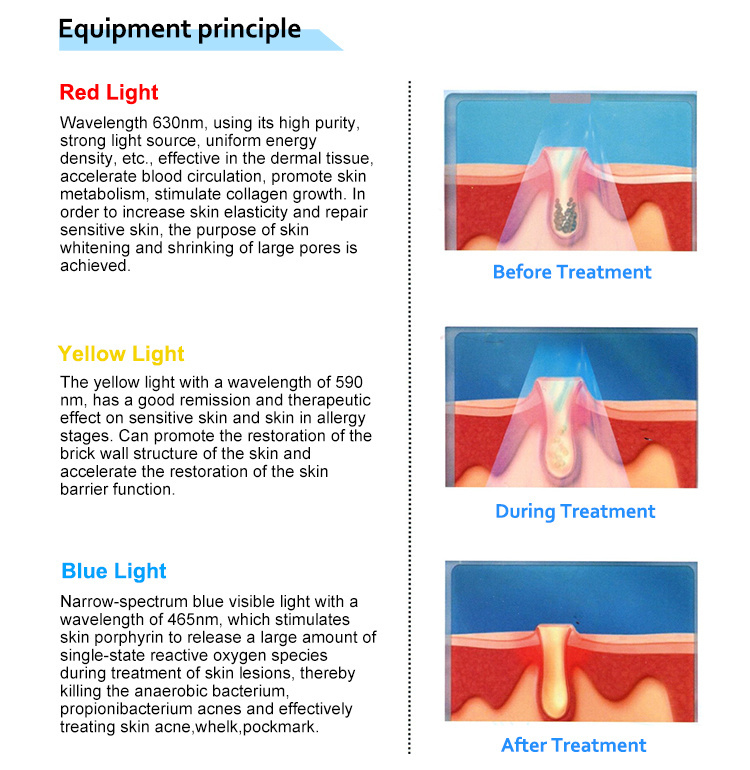 Red-Blue-Yellow Light Machine is a semiconductor solid state light source system for physiotherapy and treatment. The mechanism of physiotherapy and treatment is photodynamic and photoimmunity effects of LED light. The luminous chip is composed of red, blue and yellow light units. Blue light kills acne bacteria, removes moderate inflammatory acne and cystic acne; Red light penetrates deep into the dermal layer of the skin and that stimulates the collagen tissue of dermis to proliferate automatically and stimulates the regeneration and activation of cellular tissue; Yellow light has a good therapeutic effect on sensitive skin and allergic skin, which can promote cell growth, thickening and reconstructing dermal structure. Red-blue-yellow light machine has the largest optical power density in the world. It can rapidly promote the photobiochemical effect of cells and improve the clinical treatment effect. 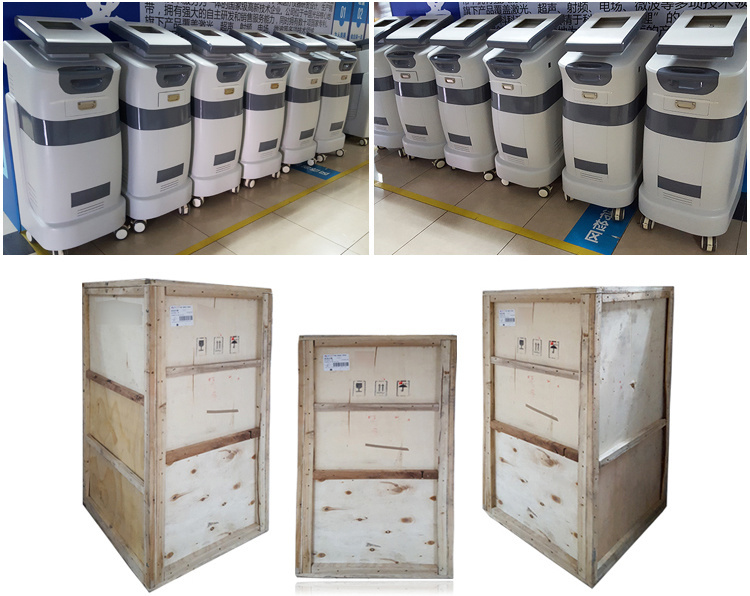 Red-blue-yellow light machine can provide enough effective treatment area to meet the clinical needs of various large-scale complex and refractory wound treatment. 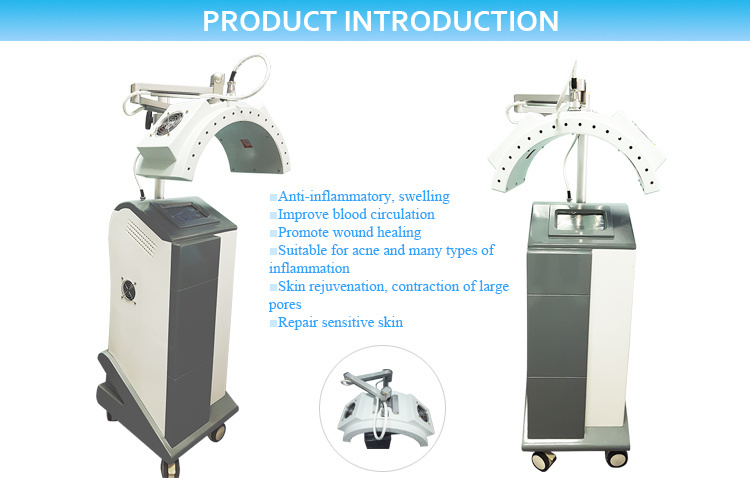 Red-blue-yellow light machine can accelerate the healing speed of wound surface and ulceration, shorten the clinical treatment time. It has significant therapeutic effect on refractory wound with poor therapeutic effect or no therapeutic effect during routine clinical treatment. Red-blue-yellow light machine uses American SET originally imported medical high-optical power semiconductor integrated module. The light density is uniform, the light source is pure, the light power is high, the effect is quick, does not have the high heat side effect. Temperature can be controlled below 26 ºC by Red-blue-yellow light machine. Long working hours without any attenuation of irradiation energy can be achieved, higher temperature control efficiency can be achieved, and high performance and stability of equipment can be fully protected. Pregnant women and nursing women should use with caution. 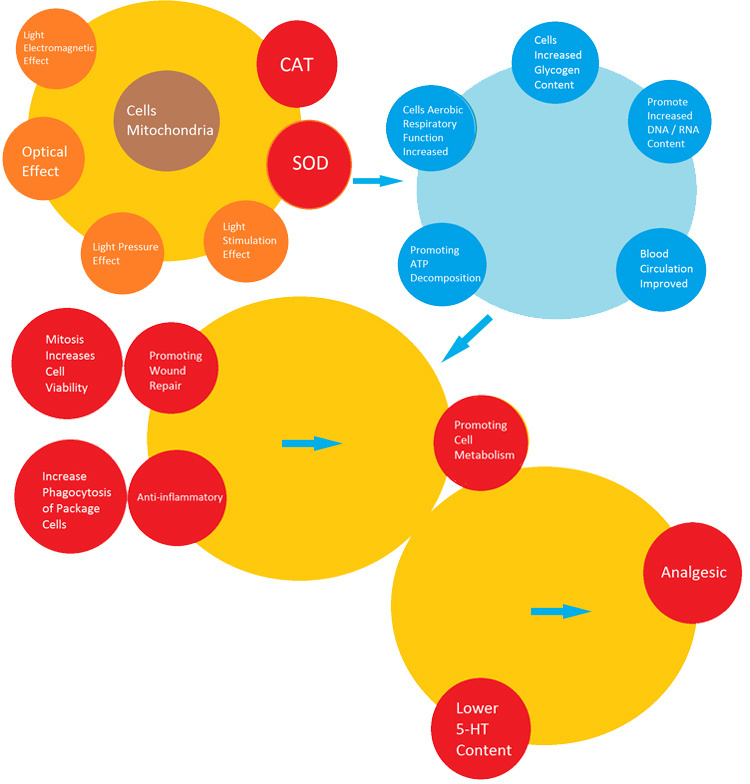 Major diseases such as cancer, serious heart disease, epilepsy and light allergic people use with caution.